Summer special rates May 1 - August 31. Close to Ventura Country Golf Club. 2 bed / 2 bathroom condo with own pool, lake, gym and tennis court in Orlando, Florida. The condo is in top shape with new air condition, full kitchen. The owners are from Denmark and are only using the condo once or twice a year. It is a 960 square feet condo with two well kept bath rooms, two bed rooms, kitchen, dinning area in scandinavian style and a living room with nice furniture, tv, dvd (including a bunch of films),books, cable, nintendo we with games and equipment etc. A great place to stay if vacationing in Central Florida! 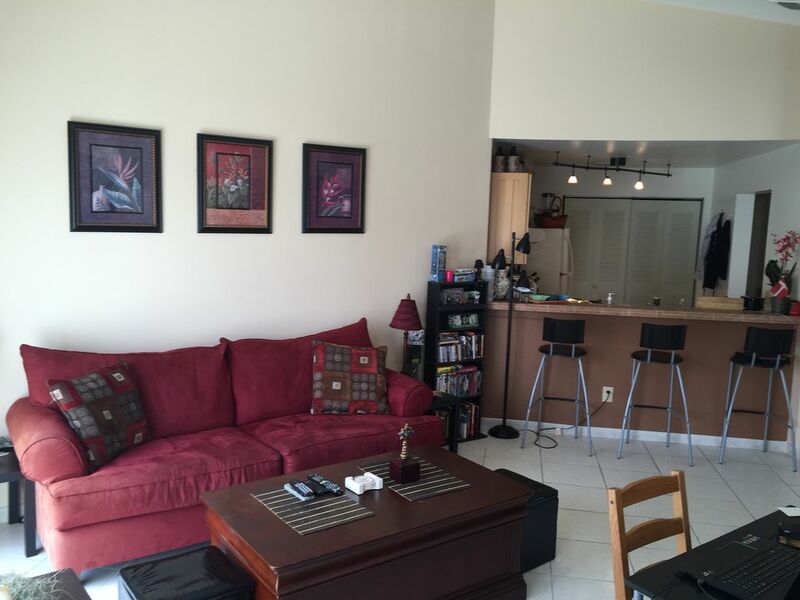 Condo was clean, spacious, close to everything you need (restaurants/grocery/shopping/entertainment). Tim (property manager) was awesome to deal with, was so helpful and easy to reach which I really appreciated. Would highly recommend this place for anyone looking to stay in the Orlando area, my family loved it. Great place to stay, very quiet and relaxing. Apt has everything you need. Would stay again without doubt. Tim is just a text msg away and responsive. My son stayed in this condo while taking a class at UCF. It was clean, well-kept and nicely furnished. The rooms were spacious and furnishings were in good shape. The kitchen had ample utensils and pans. The in unit washer and dryer were very convenient. The neighbors were quiet and friendly. Tim was exceptional. He was quick to respond, proactive in making sure we were satisfied and answered all our questions. He even helped my son get acquainted with the area. I would definitely recommend this rental! Perfect location, house was just what we wanted and Owner/host Tim is just perfect. The photographs posted don't do justice to the house. It is far better. The place is fully equiped with games, washer and dryer plus several amenities. It is clean, everything works and decorated for you to enjoy and not think it is out of bounds. The kitchen and utencils were great addition to have use of. Other supply were there too. The complex seem to be safe although not gated, my car was left unlocked several nights and nothing went missing. The neighbours are friendly and pleasant. The location is perfect, very close to shopping, gas stations, pharmacies, Walmart, Churhes, banks and hospital within 10 minutes. The pool area was loved the most by my daughter. Tim is a peach, very nice person. People like him are far and few in this line of business. He is fair and honest- a man of his words. I had to extend my stay and he was very helpful. I left stuff after I checked out and he mailed them to me. I plan to rent again and highly recommend it to anyone considering staying in Central Florida/Orlando. It is beyond value for money. Great place with lots of space! We rented this place for a month while my niece worked and studied near by. The condo was equipped with everything you needed and it had ample space. The location met our needs and the neighborhood was quiet and safe. Tim was a great host and attentive to anything we need it. Very flexible with us and very accommodating when we had a last minute change of plans. There is 2 large rooms, master with bathroom. The living room has a very warm layout with a great comfy couch and an additional futon for additional sleeping space. The condo overlooks the pond, great if you want to spend the evening outside. Close to a Wal-mart, Lowes, gas station, and the airport. About 25-30min to Citywalk. Not too far from the highway. Would definitely stay here again. Thank you again! Park Ave. in Winter Park is a 15-20 min. Drive and has a wonderful Farmers a Market every Saturday morning! Beautiful Lake Eola a 10-15 min. Drive on the east side of downtown Orlando has a farmers market on Sundays! Leu Gardens situated between downtown Orlando and Winter Park is a 15-20 min. drive! Orlando has a brand new performing arts center opening up in November in downtown! Amway Center in downtown is home to the Orlando Magic and the Orlando Solar Bears (Hockey) and host of many concerts and events! Disney Theme Parks, Universal Studios, Universal City Walk and I-Drive is a 30-40 min. drive.